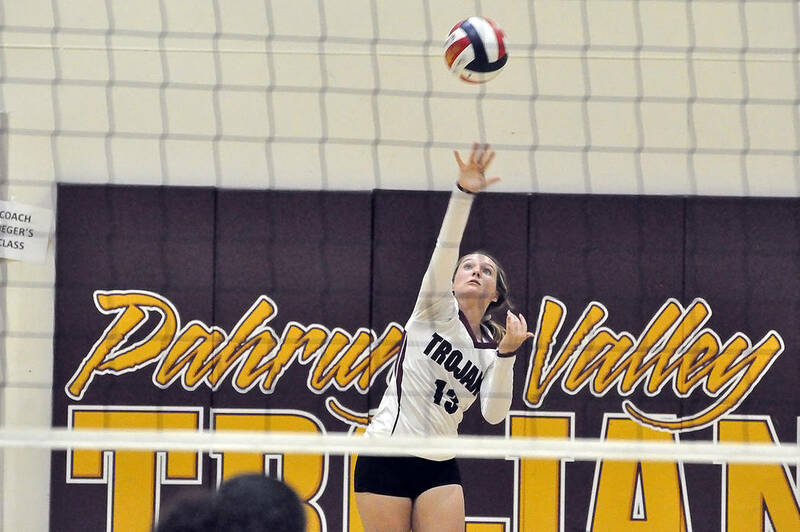 Horace Langford Jr./Pahrump Valley Times Pahrump Valley senior Jackie Stobbe tallied eight aces and seven assists in a 3-1 win over Del Sol and 19 assists in a 3-2 win over Mojave last week. The junior led the Falcons to victory in a Southeast League meet. Neubeck won the 2.5-mile race in 14 minutes, 7.9 seconds. The freshman finished first in a Northwest League meet with a time of 25 minutes, 31.1 seconds for 3.1 miles. The junior rushed for 337 yards and three touchdowns in a 33-18 home win over Democracy Prep. 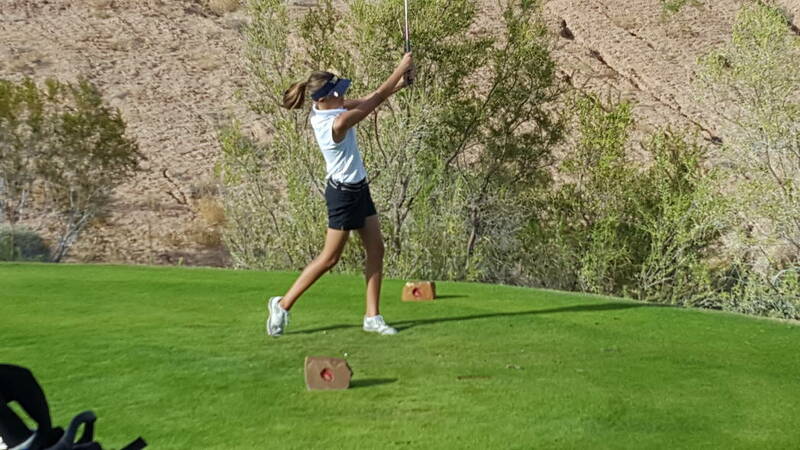 The senior won a Sunrise League match at Boulder Creek by shooting an 11-over-par 82, which was 11 shots better than the second-place golfer. The senior had three goals and two assists in the Bengals’ 7-1 win over Silverado last Wednesday. The senior had a hat trick in the Aggies’ win over Canyon Springs, then had a goal in a draw with Desert Oasis. 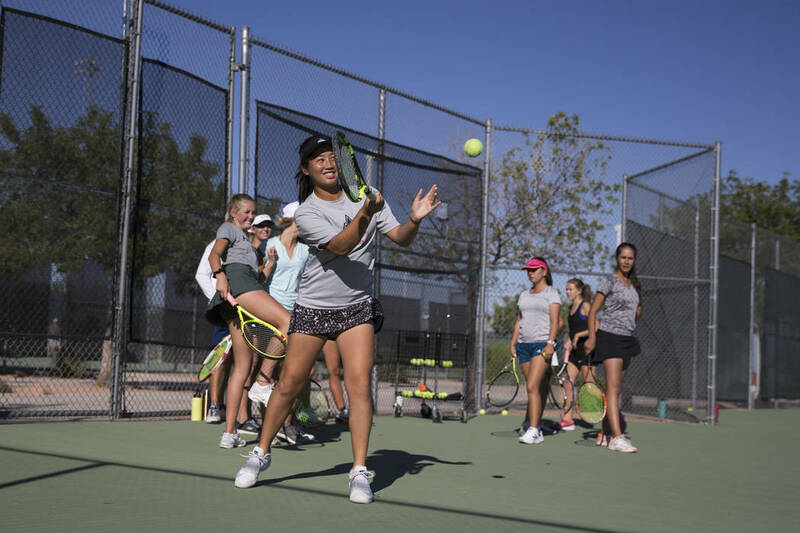 The duo combined to post a 4-1 record in doubles play to help the unbeaten Chargers score wins over Spring Valley and Desert Oasis. 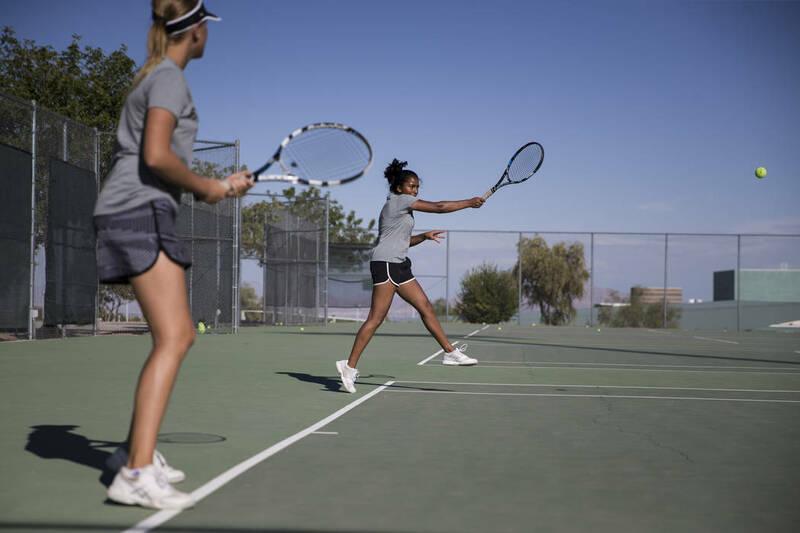 The duo posted a 3-0 record in doubles play to help the Panthers land a 10-9 win over Faith Lutheran on Thursday. The senior setter combined for 26 assists and eight aces in victories over Del Sol and Mojave.